Super Mario RPG Fan Art for a Super Good Reason! Drawing fine video game fan art is normally a great reason to do it already, especially if it is about such games not everybody draws today like Tomb Raider, Street Fighter or Pokemon. 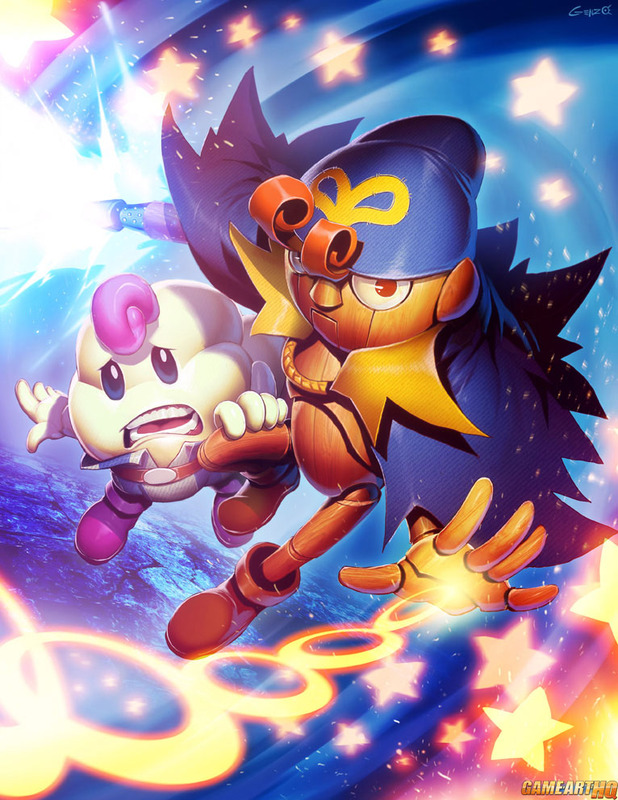 The first Super Mario RPG had these two characters Geno and Mallow which could both be super fun in Super Smash Bros. And Genzoman drew them for a very good additional reason, this artwork was made for the Gamers for Good Artbook , in support of Kevin Kanai Griffith, an awesome artist from Blizzard Entertainment affected by a rare type of cancer.